“This is a letter of celebration on behalf of Timothy Stuetz and it is my pleasure to recommend Timothy’s highly creative children’s books. They are cleverly crafted to entertain as well as educate. Four years ago a group of my 4th and 5th grade English Language Learners read and discussed Timothy’s fine books. The students thoroughly enjoyed the imaginative stories, witty dialogue and lively illustrations. When I shared the books with colleagues, they were likewise impressed by Timothy’s creative presentations of meaningful topics. “Fairy Tales of the Heart is . . . a series of heart felt stories that reconnect adults and children to the magic and wonder of life. These are modern day stories that transport adults to their inner child and stimulate creative imagination in children. The potential application of these stories in parent/child relationship as well as in adult inner-child work is unlimited. As a holistic physician who sees so much of the pain of our forgotten selves, I highly recommend this series as a first step in reconnecting to the magic, wonder, and deep meaning in your own unique life!” Dr. D.S., M.D. “TO ALL PARENTS, Bliss Beary Bear comes to you in truth and love—the pen of your very own hearts. Our children are special gifts—innocent gifts. The gifts of our future. They absorb everything they see and hear. Just as a sponge releases the same water it soaks up, your actions and words will one day be released by your children. Bliss Beary Bear’s Tales of the Heart are droplets of love. Shower your children with them. The love and practical lessons weaved throughout the Tales will be absorbed and ultimately released as smiles, laughter, caring and a tremendous sense of self-worth. Dive in yourself! Let the child within you enjoy the cosmic fantasy with which values are shared. 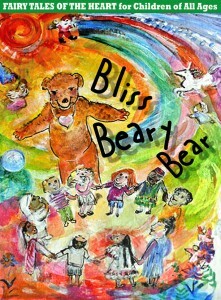 Delight as Bliss Beary Bear explores and resolves the practical situations we’ve all faced in one form or another. “There is a bear most everywhere—real or make believe. In the wild—as wild as can be. In zoos—where they probably don’t want to be. They are in movies, stories, commercials, books and cartoons. But whether real or fiction, they all have adventurous stories to tell for listener and reader alike. These may be stories of happiness, sadness, or both—but whatever you read or hear, will make you a part of the adventures near and far of bears everywhere. 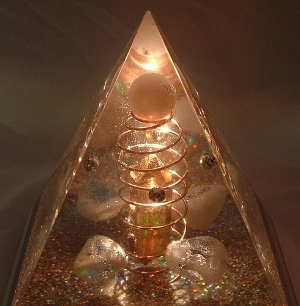 Some of their deeds are magical, others may be mystical and still others outright whimsical. Whether real or make believe, in your mind or in your heart, there exists for everyone an everywhere bear that shares stories of love and care. For me it is Bliss Beary Bear and it may be for you too. But the name is not as important as the stories shared and, any name you might call this bear of everywhere, will be as special as you! "Yes, Yes . . . tales and pictures to stimulate the hearts and minds of our future leaders of our globe. As a ventriloquist, teacher, producer, poet and spirit who has learned my lessons from the wee ones, I will support your work and philosophy to the fullest. Thanks and gratitude, dear hearts." 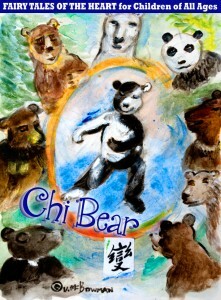 XOXO, Marjorie S.
“I have done tai chi years ago but then life got busy. 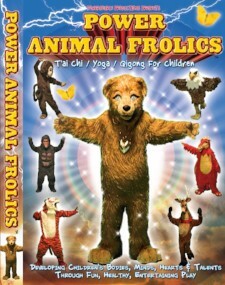 So, when I saw the Power Animal Frolic DVD, I decided to try it. The costumes are amazing which made it easy to follow and I felt energy moving through my body in just a short time. “I got these for my grandchildren (2 sets) a couple of years ago and they are still using them. At first, every once in a while, one of the children would be an animal – and this could last for a week or more – doing the graceful motions of that animal over and over – now they are making up story dances of animals and their moves and use the tape for reference. “Working with Timothy on the Power Animal Frolics was a wonderful experience for me. Most of the children we used were my friends’ children. They were so taken by the teaching through the animals that they actually paid attention–even at the early ages of 3 – 11. They really enjoyed themselves–so much so, they keep up the practice to this day. I feel when young children are introduced to this practice of Tai chi and Qigong they not only get a complete physical work out, it also helps to mold their behavior into more peaceful, thoughtful, caring and loving teens and adults. Plus the videos are something that parents can do along with their children–without even leaving their homes. One of my friends even formed a play date Power Animal Frolics party. Everyone had so much fun they decided to continue once a week. “My students LOVE doing the t’ai chi and keep asking for more! We do it the last 10 minutes of class, before they go to recess, and everyone is so calm and happy! (especially me!) It really is a great DVD. The kids love the costumes and the gentle presentations. “The Indian Head Massage was a wonderful experience. It released tension in my neck and head and overall relaxed my entire body. You have a wonderful healing touch. My mind, body, and spirit were lifted. I would recommend this to anyone.”—J.S. “This has been one of the best ways—actually the best way to obtain CEU’s. I say this because this is a class that has taught me something I can use every day of my life to make my life better. I cannot express how much I have enjoyed this. My stress level has greatly decreased and I have a much more positive attitude. 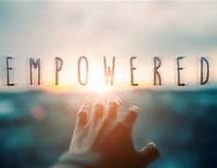 I am slowly becoming more aware of myself—what a wonderful discovery.” L.G., Nurse.